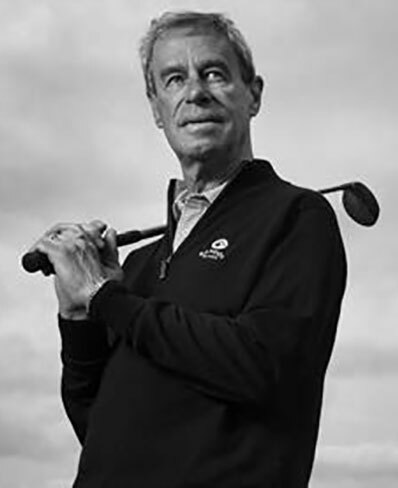 Golf course developer Mike Keiser has been named by several golf publications as one of the most powerful and influential people in the game of golf. Born and raised in East Aurora, Mike played soccer and tennis at Nichols School and played golf at Amherst College. Mike has built 14 golf courses and is currently working on 10 more. Golfweek Magazine lists six of Mike’s courses in the top 61 modern day courses in the United States: The Dunes Club (New Buffalo, Michigan), Bandon Dunes, Pacific Dunes, Old MacDonald, Bandon Trails (all four in Bandon, Oregon and all four rated in the top 15 public courses in America) and Sand Valley (Rome, Wisconsin). Golf Magazine and Golf Digest list six of Mike’s courses in the top 100 courses in the world: Bandon Dunes, Pacific Dunes, Barnbougle Dunes, Barnbougle Lost Farm (both in Bridport, Tasmania) and Cabot Links and Cabot Cliffs (both in Inverness, Nova Scotia and both rated in the top five public courses in Canada). Of the best 25 courses in the United States, only Pebble Beach and Pacific Dunes are public courses. The Bandon Dunes Golf Resort has hosted numerous USGA and amateur championships including the 2006 Curtis Cup, the 2007 USGA Mid-Amateur, and the 2011 U.S. Public Links (men’s and women’s) and will be hosting the 2020 Men’s U.S. Amateur Championship. Mike’s philanthropy includes establishing the Judgy Lytle Scholarship for scholar athletes at Nichols School in memory of a close friend and teammate who died in a car accident. Since 1983 when the scholarship was established, 58 Lytle Scholars have graduated from Nichols School. Mike has been a significant benefactor of the Evans Scholars Foundation, which supports high school age caddies learning about golf and life during the summer months. Many of these young caddies attain college scholarships as a result of their caddying. Mike has been inducted into the Western Golf Association Caddy Hall of Fame for his contribution in promoting caddies and their role in the game of golf.